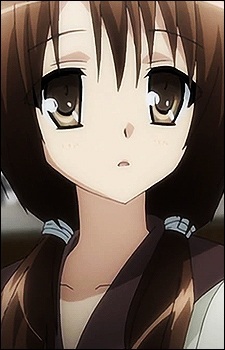 One of Ayumu's classmates and Tomonori's and Kanami's friend. She is a quiet girl who is better at studying and cooking than sports. She has the highest grades in her year. She has trouble looking people in the eye and isn't very good at communicating. She loves shogi. She appears to have feelings for Ayumu.